Royal Arch Creek Bridge, Yosemite. Watercolor. 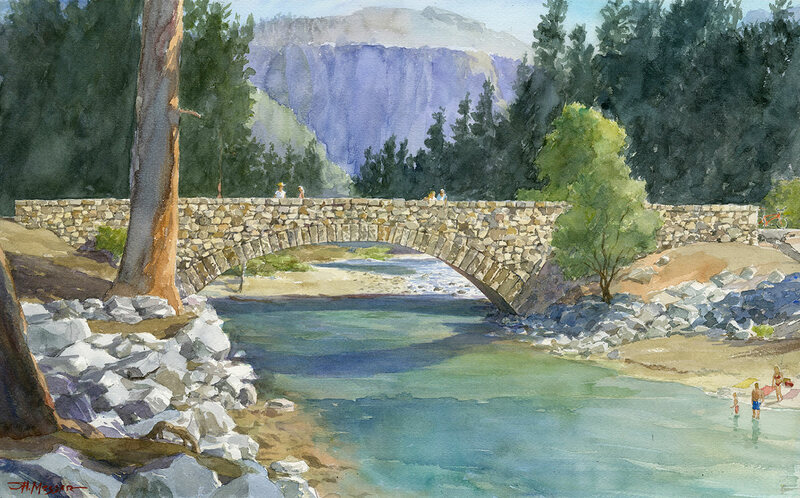 13" x 21"
Royal Arch Creek Bridge, Yosemite. Plein-Air painting.